2018 Honda Cr-V Demo. Save Up tp $4000! Richmond Honda was established back in 1974, long before the Honda name stood for quality and innovation. This then-small dealership was originally located on Number 3 Road. But as the Honda name spread through the 1970s and 1980s, we grew rapidly. Eventually we became one of Canada's largest Honda dealerships. 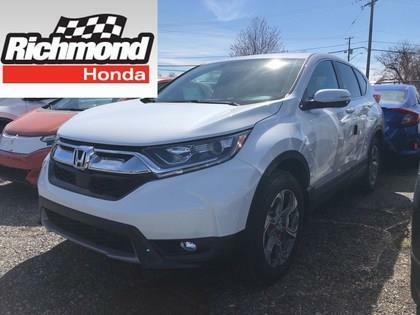 In 1984, needing a space that would reflect our growth, we moved to the Richmond Auto Mall as one of its original members.Take the risk out of purchasing your next Honda by calling the Richmond Honda Hotline @ 604-207-1888 TODAY! 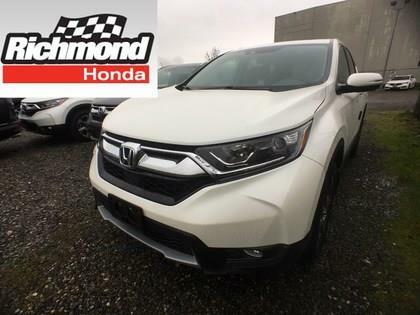 Proudly serving the Lower Mainland, Including: Richmond, North Vancouver, West Vancouver, Squamish, Whistler, Delta, Burnaby, Port Moody, Coquitlam, Surrey, Ladner, Tsawassen, Langley, Cloverdale, Pitt Meadows, Maple Ridge, and White Rock.Richmond Honda New Car Hotline (Local) 604-207-1888 or (Toll-Free) 1-888-754-3750! Hi. 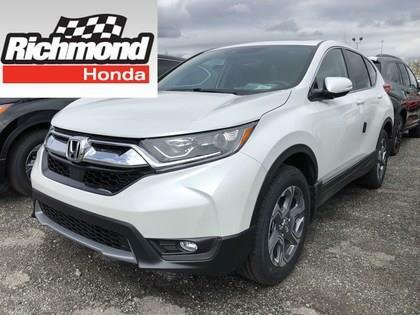 I am interested in the vehicle "2018 Honda CR-V EX AWD!". Could you send me more information? Thank you.